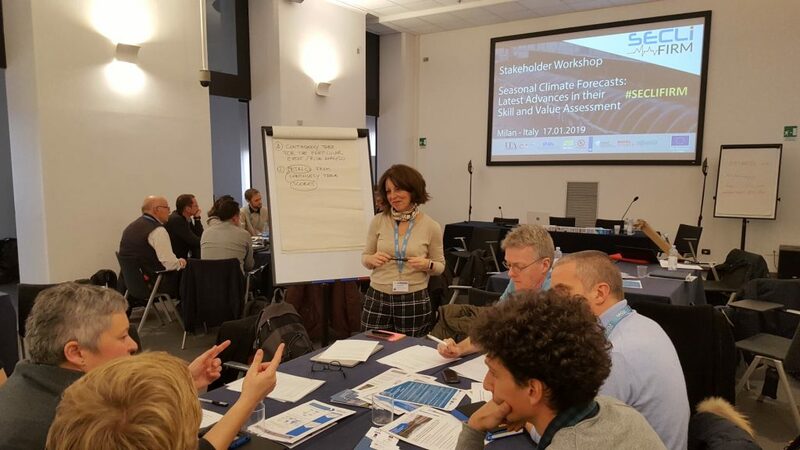 Over 50 experts from science and industry gathered together in Milan for the second SECLI-FIRM stakeholder engagement workshop. The event, which took place on 17 January 2019 at the Hotel Palazzo delle Stelline conference centre, focused on ‘Seasonal Climate Forecasting: Latest Advances in their Skill and Value Assessment’. 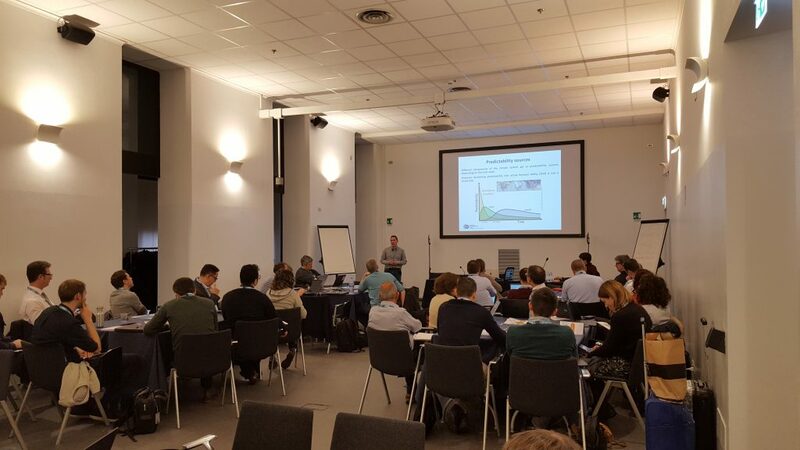 The workshop explored the ways seasonal climate forecast models can be combined to increase their value, through a combination of project and external speaker presentations, plenary discussions, and interactive group activities. The event was structured to provide maximum opportunity for interaction and knowledge sharing across the seasonal forecasting scientific community and energy and water industry stakeholders. Attendees were introduced to the project and the nine SECLI-FIRM case studies, before hearing speaker presentations focusing on key aspects of seasonal climate forecasting, from both the research and industry perspectives. Simone Sperati of RSE looked at the use of short-term forecasting for predicting electricity demand and the perceived benefits that extending this to the seasonal forecasting scale could bring. SECLI-FIRM Work Package 2 leader, Andrea Alessandri from the Royal Netherlands Meteorological Institute (KNMI), focused on the probabilistic nature of seasonal predictions; the use of grand multi-model ensemble seasonal forecasts in SECLI-FIRM and optimisation of seasonal climate prediction. Francisco Doblas-Reyes of Barcelona Super Computing (BSC) discussed seasonal climate prediction and the use of multi-model combination in assessing forecast quality for the renewable energy sector. Delegates also took part in an interactive working group session to discuss multi-model combination and skill assessment, concluding with a plenary session presenting the outcomes of the working groups, chaired by Roberto Buizza of Scuola Sant’Anna. The afternoon programme focused on the added value of seasonal forecasting for decision making, beginning with a presentation by Jaroslav Mysiak from CMCC, providing insights and experience from the CLARA project, an EU-funded project focusing on climate forecasts enabled knowledge services. This was followed by an interactive group exercise held in plenary focusing on the development of decision trees, to capture the decision-making process and embed the quantitative estimates of the economic value of seasonal forecasts for the SECLI-FIRM case studies. The workshop concluded with an open discussion focusing on the workshop and the project overall. The full set of presentations from workshops 1 and 2 are available here. The stakeholder workshops are an evolving series of events representing the different stages and progression of the project. 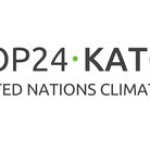 Throughout the duration of the project a total of five workshops will be held. The Added Value of Seasonal Climate Forecasts for Integrated Risk Management Decisions (SECLI-FIRM) is an EU H2020 funded project, led by the University of East Anglia working with research scientists and industry partners from across Europe and South America. The project launched in February 2018 and will run for 22 months, ending in July 2021. 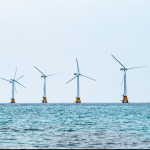 The aim of SECLI-FIRM is to demonstrate how the use of improved climate forecasts, out to several months ahead, can add practical and economic value to decision-making processes and outcomes, primarily in the energy sector, but also in the water sector. This will be shown through nine case studies for Europe and South America, focusing on recent seasons with anomalous/extreme climate conditions leading to problematic and quantifiable impacts for the energy and/or water industry. The case studies have been co-designed by the project’s industrial and research partners.